RLSS (Reef Life Support Systems) has been working on a new Apex-compatible controller for their Waveline Series DC Pumps and are pleased to announce that they will soon be available. With product integration and automation coming to the forefront in reef keeping, RLSS’s timing couldn’t be better. The new controllers feature 11 speed settings. The drivers are available for each of their existing DC controllable pump models (DC 4000, 6000, 10000, 12000) and also for the new DC-2500 pump. 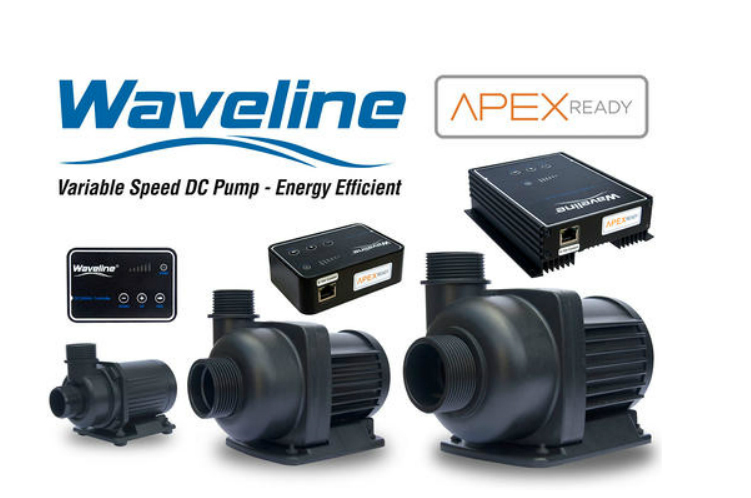 If you want Apex connectivity for your skimmer and return pumps, then swapping out your existing Waveline pump controller is as easy as disconnecting the 2 cords coming out of the controller and attaching the new Apex approved driver to your existing pump. The new driver has the RJ45 style jack for complete Apex control and connectivity. Pricing for the RLSS DC2500, DC4000, DC6000 driver upgrades are $79.99 while the DC10000II and DC12000 driver upgrades are $119.99. We will be speaking with one of the owners of RLSS this afternoon and will post more information on how you will be able to can further utilize this new technology in ways that you may not have thought of before. Stay tuned for more on this story as it continues to develop.